The Web API component of the application acts as an HTTP based interface which accepts HTTP requests from a third party client application and performs data operations. The following diagram tries to explain the possible architecture of this hypothetical application using Web API. This application can expose its business logic to the various client applications using Web API. Web API can effectively use the repositories to decouple the Business and Data Access Layers from the Web API Controller class. 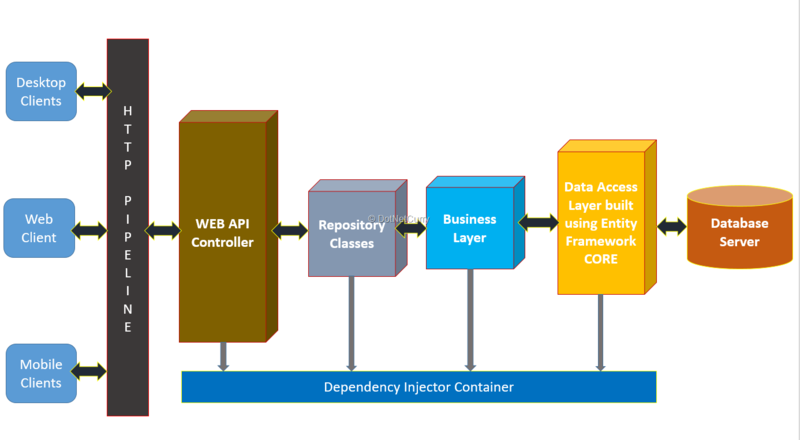 The Web API application can use inbuilt Dependency Injection (DI) to inject required dependencies in objects. For e.g. The Data Access can be registered in the DI and can be injected in the Business Layer, further the Business Layer can be registered in DI and injected in the Repository, and Repository in the Web API. 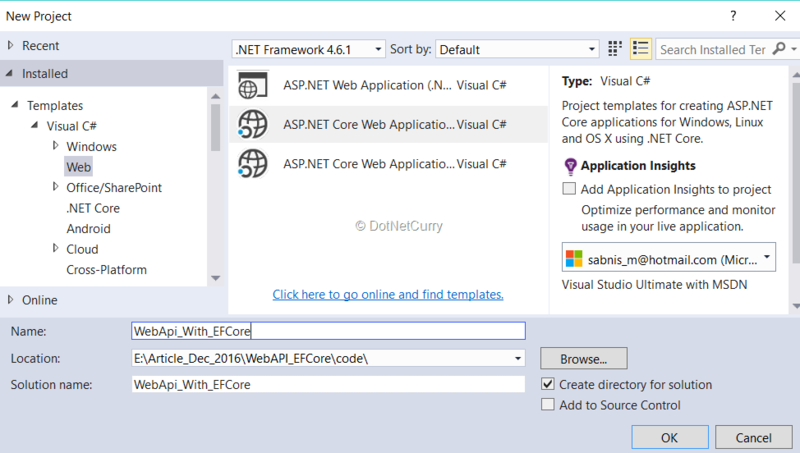 This article explains how to use EF Core in Web API for performing CRUD operations. Name this application as WebApi_With_EFCore. Click on the OK Button, the following window will be displayed. 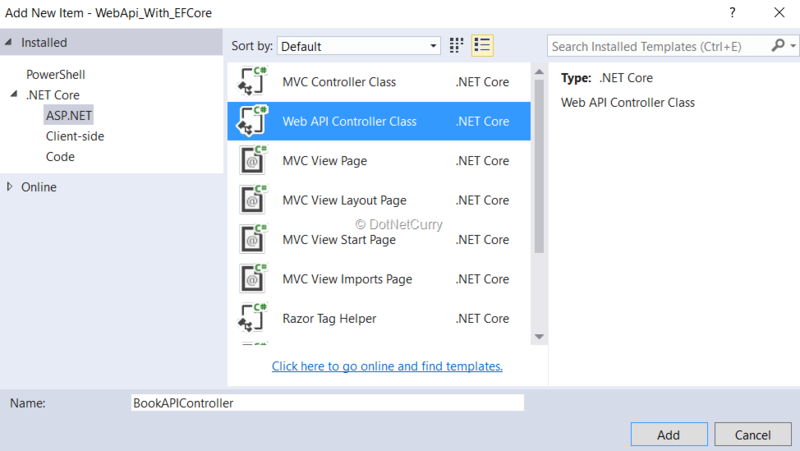 Select Web API template from a list of ASP.NET Core templates. Doing so will create a Web API application. Step 2: The Application uses EF Core with a Sql Server database. This requires an installation of EF Core and Sql Server Packages. These packages are used to provide EF Core database migration so that Database tables can be generated from the Entity. The above ‘Book’ class has an Id property which is applied with Key and DatabaseGenerated attributes. The DatabaseGeneratedOptions is set to None, which means that it will be used as an explicitly entered primary key. The other properties of the class are applied with validation attributes. The ApplicationContext class is derived from the DbContext class. The DbContext class is used to manage Database connection and transaction over the mapped table using DbSet. The parameterized constructor accepts DbContextOptions class which is used when the migration commands are executed. Step 6: To define the connection string with the database so that it can be used by EF Core, add the following entry in the appsettings.json file. The above code contains an interface of the name ‘IDataAccess’. This is a generic interface which declares methods for performing CRUD operations. The interface is implemented by the DataAccessrepository class and implements all methods of an interface. The code uses the ApplicationContext class for performing database operations. The code is quite similar to EF 6.x code. The ‘ApplicationContext’ class is passed as dependency to the DataAccessRepository class. So the question that arises is Where are the dependencies registered? The DI container registers DataAccessRepository class as a Singleton. The AddDbContext method uses the ApplicationContext class for injecting it in the DI container. This method further uses SQL Server connection string to map with the SQL Server database. Here the important point is that the AddDbContext uses a Lambda Expression which is the DbContextOptionsBuilder object. This object is further used when the migration commands are executed. These commands will add the Migrations folder in the project with classes containing code for Table generation. 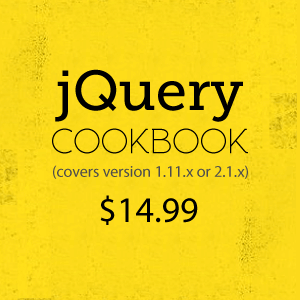 This will generate Books table in the WebApiEfCore database. The BookAPIController class has the base class as a Controller, which is entirely different from the earlier version of Web API where the base class was ApiController class. 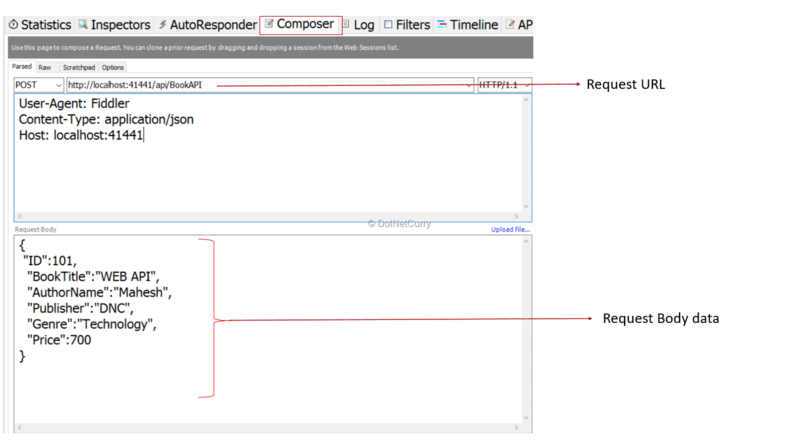 This means that the MVC Controller and API Controllers has the same pipeline for request processing. In the above code, the BookAPIController class contains a constructor with IDataAccess interface passed to it as dependency. This provides an instance of DataAccessRepository class to the controller class for performing CRUD operations. Build the project and make sure that it is error free. Likewise, PUT and DELETE requested can also be tested. 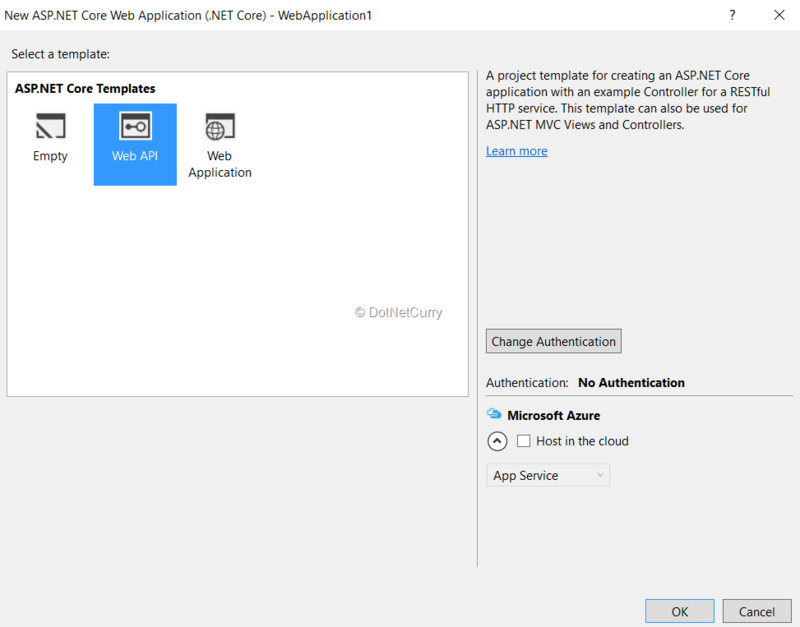 Conclusion: Web API in ASP.NET Core effectively makes use of the DependencyInjection (DI) feature using which the Data Access code implemented using EF Core can be isolated from the action method of the Api Controller class.